At Coral Rock we strive ourselves on providing fresh, seasonal and innovative food that meets the highest standards. Your hosts, Samantar and Janette, strongly focus on using quality fresh ingredients. With our unique concept of a frequently changing menu enables us to only source the best produce for that time of year. It also enables us to be creative and try new things and give our guests some variation. Samantar takes pride in doing things properly with just about everything leaving the kitchen made in-house and from scratch. We love what we do, and it shows. All food ingredients are handpicked from daily market, we focus on fresh and cultural food for our guests. There will always be a relaxed atmosphere, friendly service, and delicious food! We guarantee our food will leave your mouth watering and take you on a taste adventure. Coral Rocks Rocky Bar offers a variety of spectacular cocktails to quench any thirst. Rocky Bar is a venue with both personality and mixology of class. 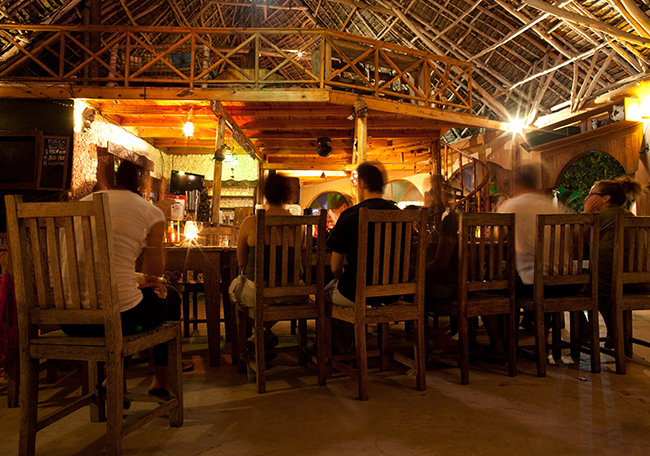 Rocky Bar is the perfect place to come for a drink and socialise with other guests, locals and management. Choose from an extensive list of wines, beers, spirits rare whiskies and much more. At Coral Rock we believe cocktails should be enjoyed in a beautiful, cultured and relaxed environment. Come on down with friends and family to celebrate life with an artisan cocktail from our extensive and ever-evolving menu.